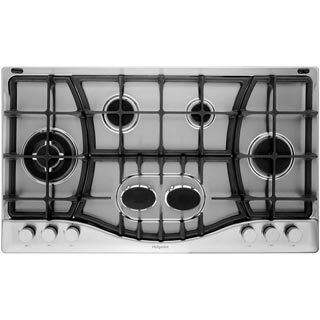 "Great gas hob with good safety featuresz The burners are good sizes and there is good variety of sizes. Overall very happy with it." "This looks amazing! Really impressed with this. Plenty of cooking space and you can tell this was designed by someone who cooks!" "Does exactly what it says on the box. 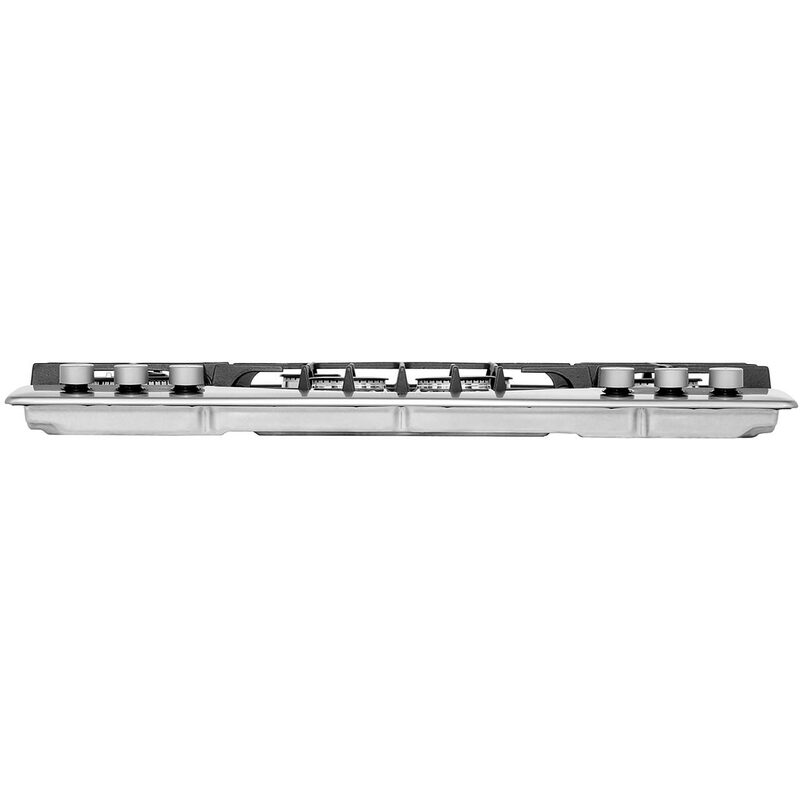 It's stylish, easy to use and is perfect for our large family." 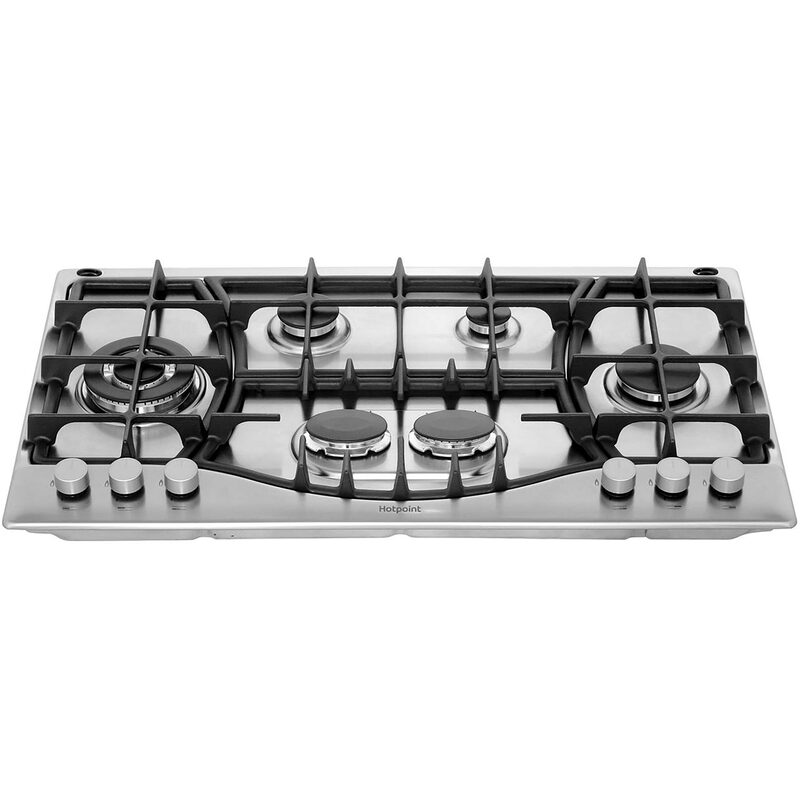 "We have swapped from electric to gas and were amazed by this hob. Not only does it looks fantastic but is a massive asset to any kitchen. It has six different sized burners so you can have more pans on the hob at one time - which greatly reduces cooking time and the need for constant nagging from the kids that they are hungry! Two of the sets of the burners are quite close together so perfect for using with larger saucepans, frying pans and hot plates so makes short work of doing the Sunday fry up. 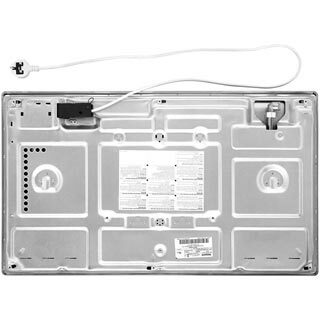 The knobs are clearly labelled and are based on the front of the hob with three on each size, one side controls the left hand burners and the other side for the right. A slight push down twist and hold for a few seconds and the gas quickly ignites. 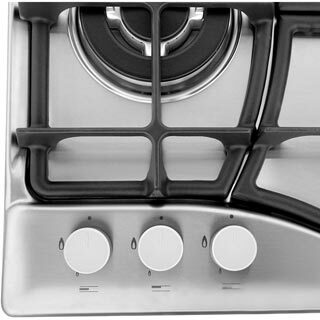 This hob also has a built in safety device where if the flame is accidentially put out the flow of gas to that burner automatically stops. 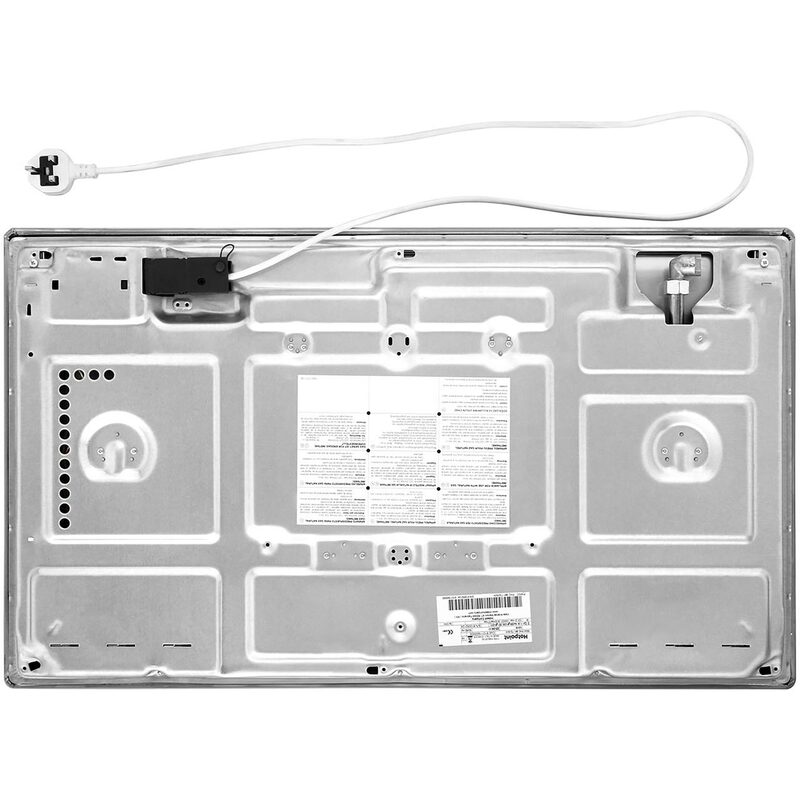 All parts of this hob are easily removable for washing and they are all slightly different sizes so putting them back together is easy as there is only one place they will fit. All in all this hob is perfect for families both big and small and gets a definate thumbs up from us. A hob that does the job! 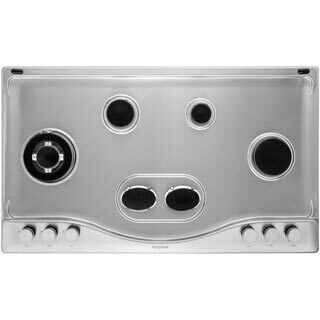 "This 6 burner hob not only looks great but is easy to use and provides you with plenty of different burner options. The automatic ignition is simple and the dials are marked to show you which burner each dial controls. There are three dials on either side which makes figuring out which dial to use even easier. The dials are located at the front of the hob for ease of use, my old hob had all six dials on the righthand side and it was guess work! The burners turn down really nice and low for gentle cooking but have a really powerful burn when used on full (especially on the wok burner). 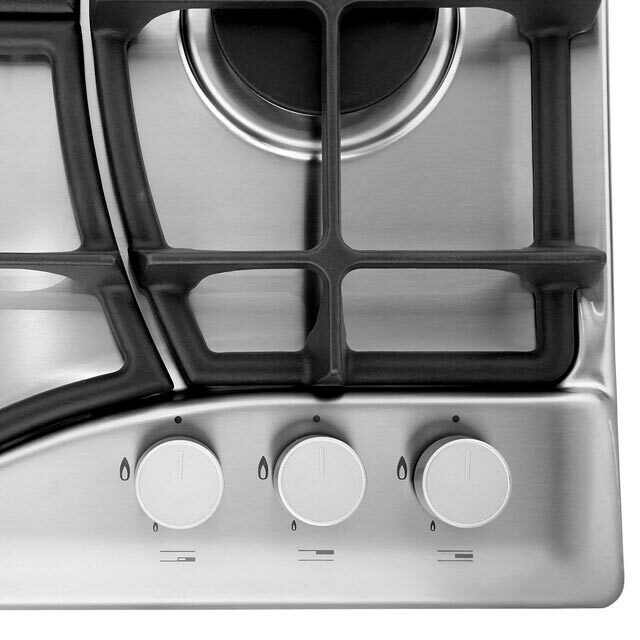 At 87cm it's a big hob with loads of room to cook, the burners vary in size. 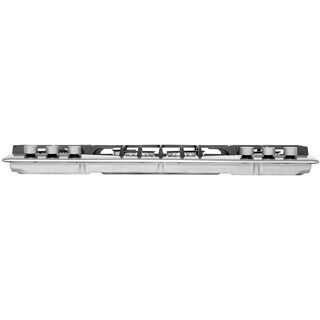 The cast iron pan supports cover the whole of the hob and fit together nicely to provide a really stable surface for your pans, this is probably my favourite thing about the hob as it's essential. As it's stainless steel it looks superb but it is a bit of a pain to keep clean as it shows up every single smudge. However if you are willing to keep it well loooked after it's a great looking product that is so easy to use, definitely a statement piece of kitchen equipment. I wouldn't swap it for my old one that's for sure!" 30 of 30 people found this review helpful. 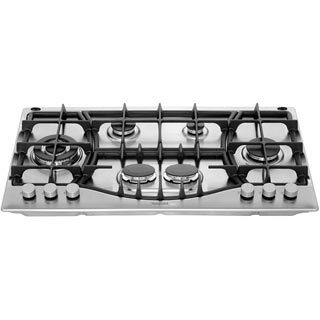 Great gas hob with good safety featuresz The burners are good sizes and there is good variety of sizes. Overall very happy with it.